Are you looking for bad credit car finance? If you find yourself with a bad credit score then you may have already experienced that it can be a little tricky to get car finance. Lucky for you, with UK Car Finance that is no longer true. Bad credit car finance is our thing, it’s what we do best. By that we mean we have literally built our company model around getting people just like you a great car finance deal and driving away in an awesome car. We work tooth and nail to find you the most suitable bad credit car finance deal. We honestly believe nobody works harder than us to get you the best bad credit car loan that suits your circumstances. If you have bad credit and want to get car finance then apply with us today. We are from the North East ourselves, our office is based in Newcastle and the majority of our staff were born and raised in the North East region. When it comes to obtaining car finance with bad credit and then sourcing a car, using a company with local knowledge is a huge advantage to you. We know the local dealers and garages across Northumberland, Tyne & Wear and County Durham, and we can ensure you are well looked after throughout your whole car buying experience. We’re a hard-working bunch up here in the North East and believe us when we say we will ensure we do everything in our power to get you the car finance you need. How do I apply for bad credit car loans? It’s surprisingly simple to apply for a bad credit car loan. Firstly, just head over to our car finance application form and fill out the details. This will just take a few moments, we timed computer illiterate John and he smashed it out in under a minute! Once you’ve hit the send button then your application will be automatically sent over to our customer contact team. Whilst we check your application details you will be sent a short introductory video from your personal car finance expert who will help you get your bad credit car finance deal. You will then receive a quick 5 minute phone call from us to confirm all the details are correct before your personal car finance expert matches you up with our panel of lenders. Once we’ve received an answer back from the lenders we will be in touch to let you know which deals our lenders are offering you. From there you pick the deal you like best, agree your affordable monthly payments and you are off car shopping! If you have bad credit that doesn’t mean there aren’t some amazing deals to be had! Below is a little selection of the bad credit car finance deals we offer at UK Car Finance. No deposit bad credit car finance is an amazing deal. If you’re anything like us, it can be difficult to put money away for a rainy day (which is every day up here, but that’s not the point). 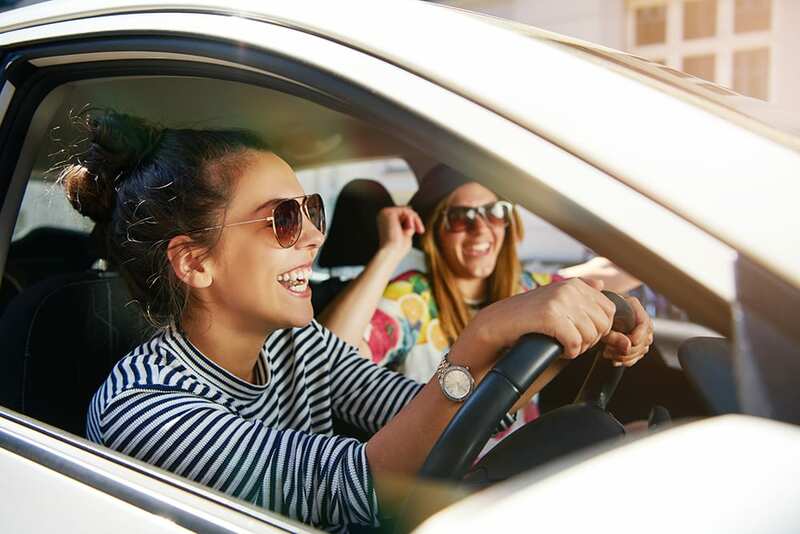 Most of us simply don’t have a few thousand pounds to lay down as a deposit so the chance to buy a car without having to put a penny down beforehand is a pleasant surprise. Find out more about no deposit car finance. The best way to find out if you will be approved for car finance is to use our car finance calculator. Unlike other bad credit car finance providers, we can actually perform what is known as a soft search on your credit report, this means you will be able to see we accessed your file but other lenders cannot. Why should you care? Well every time someone accesses your credit report it leaves a ‘search footprint’, too many of these in a short period may indicate that you are looking to get more credit that you can actually afford, some lenders even see it as desperation and that can be a reason to decline your application. A soft search however can’t be seen by other lenders and therefore protects your credit file. The soft search on your credit report will allow us to gauge the likelihood of you being approved for car finance with us using past data of people who have a similar credit profile. This means you get to check your chances of being approved before you even apply. The simple fact of having a number on a credit score that falls in the ‘bad’ section isn’t going to get you declined alone. There are many factors taken into consideration when a lender decides to offer you a car loan or not and each lender differs from one another. Your personal car finance expert will navigate this minefield on your behalf, matching you up to the lenders that fit your criteria the best. However, these are some general rules we think might just help you out. Is your credit rating still going down? Generally, a credit rating on the up is preferred by lenders, almost regardless of the score itself. If you have an excellent credit score but have recently got two defaults on your account your credit rating is likely to be decreasing. Whereas if you have a bad credit score but you have met all your payments on time and in full for the last three months your credit rating will likely be on the up. Your recent credit history is more important than small mishaps from years ago. Of course, your whole credit report will be considered. Have you had a CCJ? County Court Judgements are a serious warning to credit companies. If you have been in receipt of a CCJ recently we would strongly advise not applying for car finance as your chances of being approved are very slim. Typically, once a year has passed since you received your CCJ and you have spent the 12 months meeting all your credit agreements in full and on time then you stand a much better chance of being approved. Are you bankrupt? If you are then we’re really sorry but you can’t get finance at all. Once your bankruptcy period is over you should work on showing you can meet credit payments in full and on time, a phone credit agreement is a common way of doing this. Once you can show you can meet payments for the smaller stuff and you are sure you need a car on finance then we can definitely help you. With us we get you the car finance sorted first so when it comes to buying a car you have the money already in your pocket. This makes buying a car with bad credit a breeze. The car dealer doesn’t have to even know your credit history, you simply walk in with your credit limit in place and get your favourite car for that amount, just like a cash buyer. It really puts you back in the driver’s seat and in control of your car buying experience. That brings us on to what cars can you buy when you have bad credit? We have created a tool to tell you exactly what cars you can get for your monthly budget. Just head over to our car finance calculator and you will be shown the cars currently available in the North East that you can get. Once you’ve chosen which lenders offer to accept, we can show you which cars you can get and the exact monthly price you will pay meaning you can begin your car shopping from the comfort of your home! We want to change the car buying process. No longer do you have to either save up and buy a car outright or walk into a car dealer and hope you’re not being taken for a ride. If you come to us first you can walk into the dealership just like a cash buyer, knowing you already secured the very best bad credit car finance deal you can get. We are here to advise and help you. Bad credit car loans not only give you the opportunity to get a car on finance, you have a chance to improve your credit score at the same time. When you take our bad credit car finance and you continuously pay back the loan on time and in full then it will have a positive impact on your score. So effectively you get a car and improve your credit rating at the same time? Win-win. What cars can I get with bad credit? The first step to answering what cars are available with bad credit is to work out your monthly budget. Our car loan calculator allows you to do just that! From there you can browse the cars for sale in the North East and search by monthly payment value. When you apply for bad credit car finance with us you can buy a car from a choice of reputable car dealers, so even if you don’t see what you like on the website we can still help!